Western Australia, covering the entire western third of the country, is made up mainly of arid Outback. That being said, the West Coast is home to some of Australia’s best beaches. If you’re looking for somewhere to rest your roots and live by the sea and sand, this could be the perfect place for you. Perth is a relatively large Australian city, but manages to retain its laid-back feel, aided by spectacular beaches and a plethora of parks. 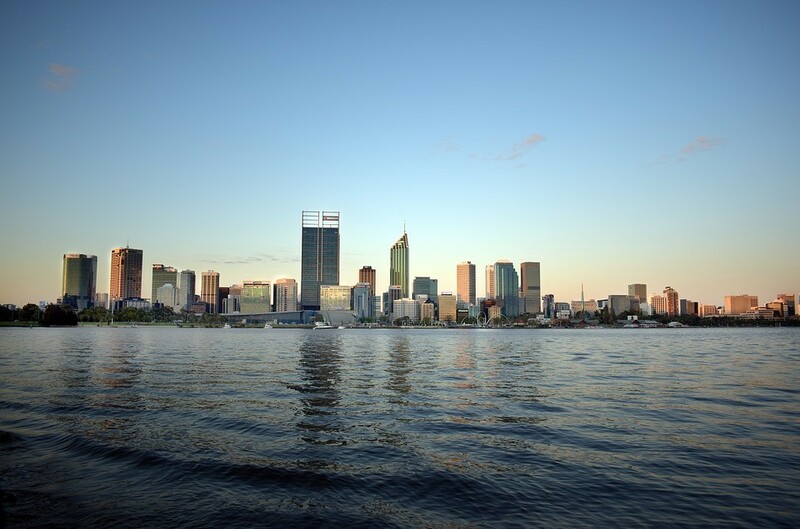 With year-round good weather and an easygoing vibe, Perth combines big-city perks with relaxed and natural surroundings. There are countless bars, restaurants and cultural activities for visitors here. And if it’s relaxing you’re after, there are parks, rivers and ocean beaches to wile away the hours. A highlight of the city has got to be King’s Park. At its centre resides the 17-hectare Botanic Garden, with over 2,000 plant species indigenous to West Australia. A huge glass-and-steel bridge winds through the trees and provides stunning views of the park. One of Western Australia’s most notorious beaches, Cable Beach offers the traveller crystal clear waters and beautiful white sand curving away to the desert. Take a trail through the red dunes of Minyirr Park, a deeply spiritual place for the Yawuru people, or ride a camel along the sand at dusk. The name of Cable Beach is grounded in its history and the undersea telegraph cable from Java that came ashore there in 1899, used for international communications until 1914. Surrounded by foreboding 5m-high walls, Fremantle Prison is an old convict-era prison. There are a number of different tour options, where visitors are taken to the kitchens, men’s cells and solitary confinement. Other tours include tales of infamous escapes and a tunnel tour which includes an underground boat ride and exploration of the subterranean tunnels built by prisoners. A definite highlight of Western Australia is the Bungle Bungle sandstone domes in Purnululu National Park, a World Heritage site. The “beehive”, striped domes are made of sandstone and conglomerates moulded by rainfall over millions of years. Their stripes are the result of oxidised iron and algae. This stretch of wildlife contains a wide range of creatures, including over 130 bird species.